Madley Property are proud to present a stunning new build, three bedrooms apartment offering spectacular City views. The Liberty Building, built by renowned UK developer Telford Homes, offers a contemporary specification and includes all of the modern configurations to complement the luxury finish. Located only moments from Crossharbour DLR, whilst also being a short walk to Canary Wharf, you benefit from easy access to a wealth of transport links, bars, restaurants and shops found in the financial district of the capital. Situated on the 17th floor, and laid out over 970 square foot, the open plan reception benefits from a spacious design and displays fantastic views throughout and the kitchen is of a high specification and includes fully integrated high-end appliances. 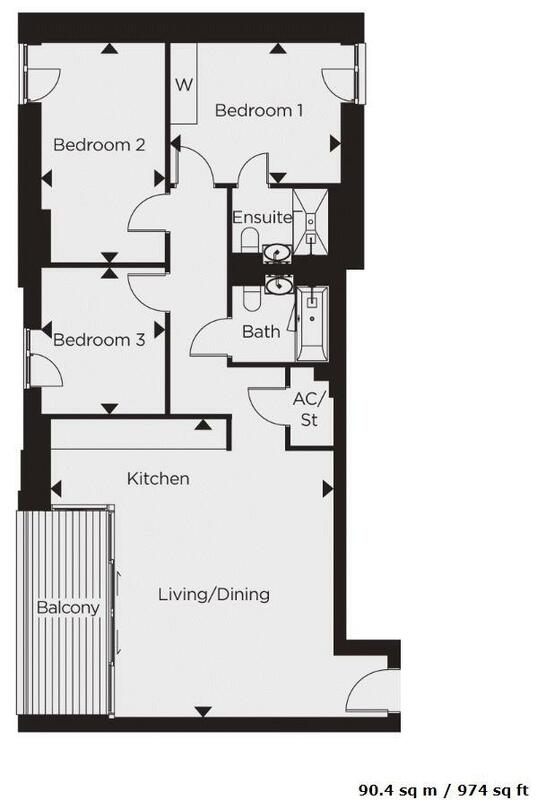 Two bedrooms are an excellent size, with the master benefiting from built in wardrobes and a luxury specification en-suite shower room. Another single bedroom and separate family bathroom is finished to the same magnificent standard as the en-suite. Residents of the Liberty building can expect benefit from 24-hour concierge, on-site gym facilities and convenient transports links.